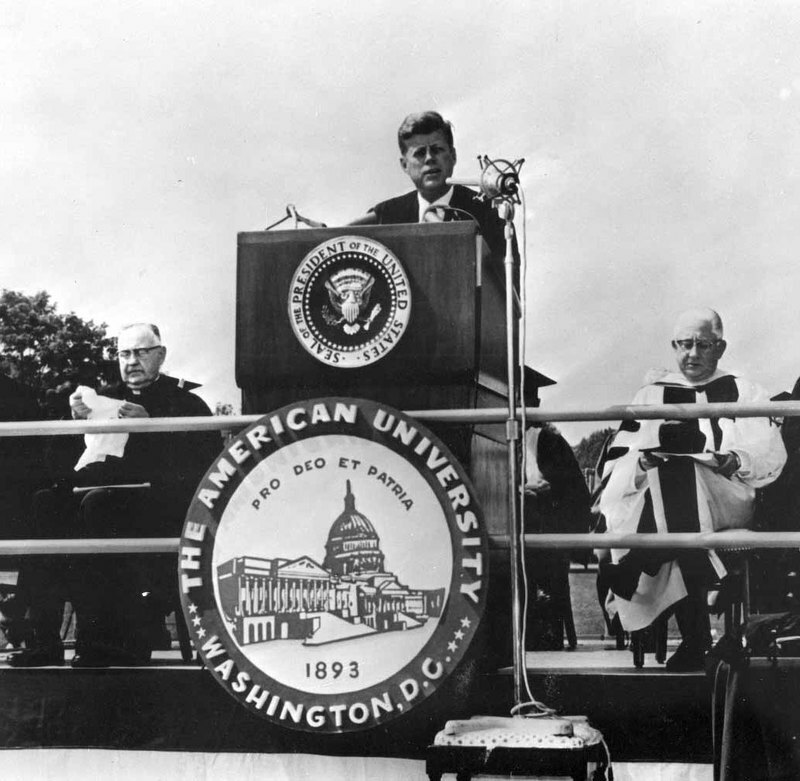 John F. Kennedy at American University's Commencement ceremony on June 10, 1963. On June 10th, 1963 President John F. Kennedy delivered his famous commencement address to an audience of students, parents and faculty in the midst of the Cold War. Titled, 'Strategy for Peace,' this speech called on the Soviet Union to work with the United States towards solutions for peace and a nuclear test ban treaty specifically. He believed this type of treaty might prevail and help reduce tensions and the specter of nuclear war at that time.